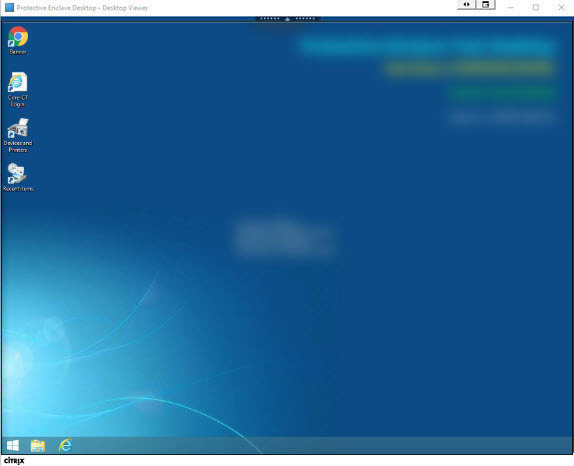 Accessing the Desktop - After logging in, accept the AUP and access your virtual desktop. Accessing your Documents - Where to find your shared files/folders/libraries. Make Full Screen/Span Dual Monitors - Shows you how to make full screen/restore to window or span dual monitors. 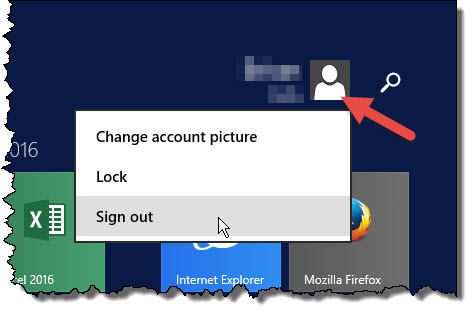 Signing Out - Signing out of your Protective Enclave virtual desktop. 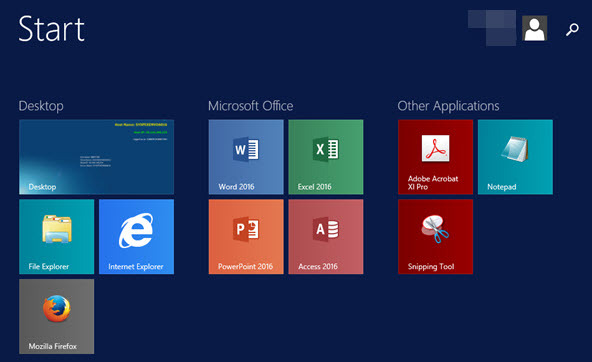 Here you will find the applications you have access to (e.g., Microsoft Office applications, web browsers, etc.) as well as where you will go to sign out. To return to the desktop, click the Desktop application. Used to access your Enclave document libraries. IE is the recommended web browser and should be used to access Approved Sites and Applications (e.g., Banner, Core-CT, SOCS). NOTE: You may see a different web browser icon the first time you log into the Protective Enclave. 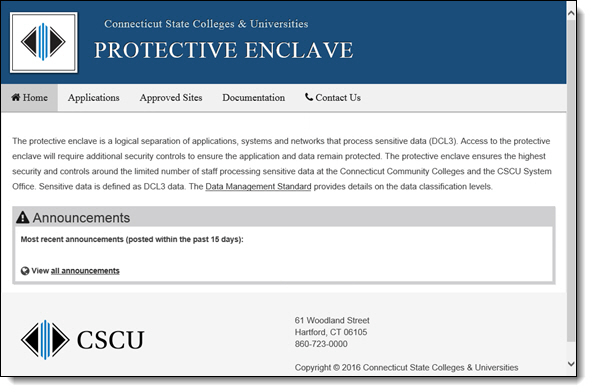 NOTE: The first time you log into the Protective Enclave or after a system update, you may see additional, default libraries listed that will not be displayed the next time you login. Any documents placed in those default libraries will be deleted. Refer to the Working in the Enclave support page for details on each of these libraries. Here you can access Applications such as Word, Excel, Adobe Acrobat, etc or Web Browsers such as IE or Firefox. Simply click the icon of the application you'd like to launch. To return to the desktop, click the Desktop icon. To open your Enclave folders, click the File Explorer icon. Here you can access your Web Applications like Banner, Core-CT, and SOCs, as well as visit any of the Approved Sites that have been approved to be accessible from within the Protective Enclave. NOTE: Although some of the approved sites can be accessed from any PC, faculty and staff must *only* access them from the Protective Enclave when accessing confidential data related to their staff or faculty position. NOTE: You may notice that an approved site contains links to other sites that are not on the approved site list. 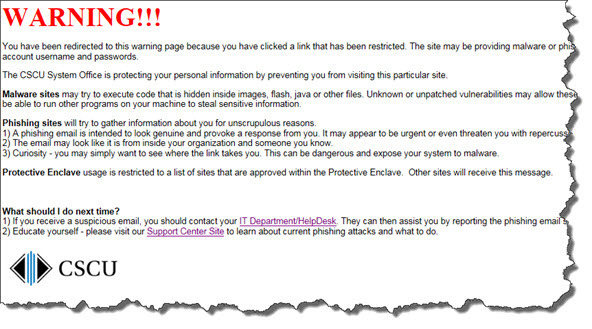 If you visit a link that is not on the approved site list, you will get the CSCU Warning page indicating you attempted to visit a restricted site. 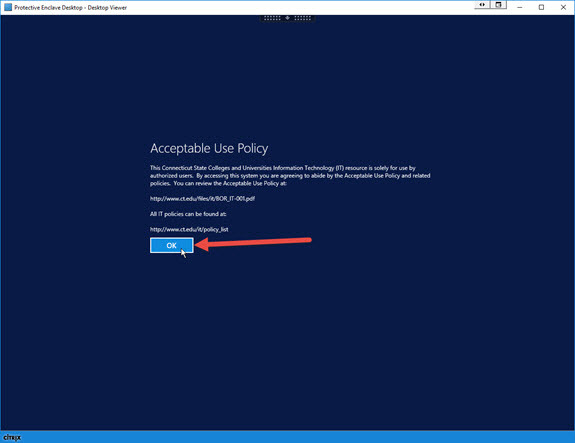 If the site is needed to be accessible from the Protective Enclave, a request can be made to your local IT department. Click Full-screen, to make the Protective Enclave desktop fill the screen.